Everyone has heard the term "branding" but do you really know what it means? Branding is the art of attracting ideal clients through communicating a firm's core values, business name, logo, colors, tagline and much more. Often this is accomplished through conscious and subconscious communication in print media, social media, and online through the use of creative visuals. Firms use their brands to "position" themselves in the marketplace and make an impression on buyers. A brand must be strong enough to garner attention with the demographics or target market that your firm seeks to attract. A good brand will influence buying decisions. That's why stock logos and template websites don't do much for anyone's brand: these bland devices don't stand out and don't make an impression on the subconscious mind. I'm often asked, "What qualities should be used in a brand to attract wealthy clients?" I believe that's putting the cart before the horse. Successful brands are based on the firm's core values and what's important to you, the owner. After all, your values are your passions, and if you attract clients who believe in your values, you'll be a better match and work well together, and you'll enjoy your work. What are the keys to branding success if you want to stand out from the crowd? Core Values: Decide what's important to you and your firm. What do you stand for? What is your investment philosophy? What's important to you when attracting ideal clients? Business Name: Start with your firm's name. Create an image with your name. It's best to avoid using your own name in the firm's name to steer clear of sounding like a one person business. Not to mention that succession planning will be easier with a name that is not your own. Logo: Clip art is not a logo. A logo is a visual representation of your firm and what it stands for. A logo is used to promote instant recognition among your target clients. A good logo inspires trust and serves to differentiate you from an average firm in your field. Colors: Advisors have traditionally gone with blue and white for their logo color choice because it stands for trust and integrity. Break out of that mindset and go with something new and different, just please avoid black and red – colors that definitely don’t work for financial planners. Tagline: Wrap up your brand with a benefit driven tagline to finish off the concept. A good tagline serves to complete your business name with a BENEFIT of what the target client receives out of working with you. Using a benefit is appealing to buyers because they can conceptualize how your service can help them. Using a creative tagline such as "Your Guide Down the Path to Prosperity" provides a better mental image than "Invest For Your Future" because the target client can see themselves walking down a vine-covered path to prosperity with you as their guide. Being generic: Financial planning naturally attracts left-brained individuals, but that doesn't mean you have to be boring. That's why using a professional is so important – they can contribute the creative force that you may lack. Low-priced: Don't retain the services of a low price graphic design company. The "dime a dozen" material they put out is not worth the few hundred you'll fork over. You are asking clients to INVEST with you, so make an INVESTMENT in your professional firm. Don't cheapen it by using an amateur. Not using visuals: Good financial advice leads to a happy retirement. So please depict what that looks like to your target clients. What will they be doing in retirement that will make them happy? Drinking wine, playing golf, gazing at sunsets, wearing pajamas during the day, and dining out with their loved ones. These images demonstrate the end effect of hiring a financial planner. 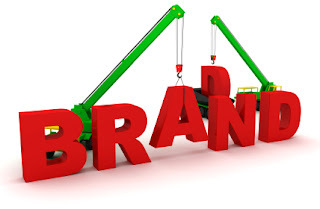 Using high-quality branding in your financial planning firm is a good business practice. Smaller firms can differentiate themselves from wire houses, carve out a niche, demonstrate value, and attract quality clients by investing in their brand. All it takes is looking at your firm with new eyes and deciding what you are all about and how you want to represent your firm with your branding.